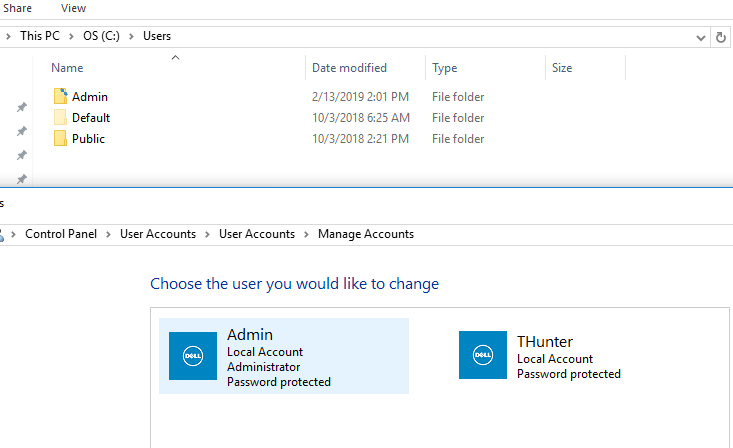 I changed the default User to THunter. I don't see a user folder, only Default and Public along with the Admin. IT also will not allow me to create a another user.